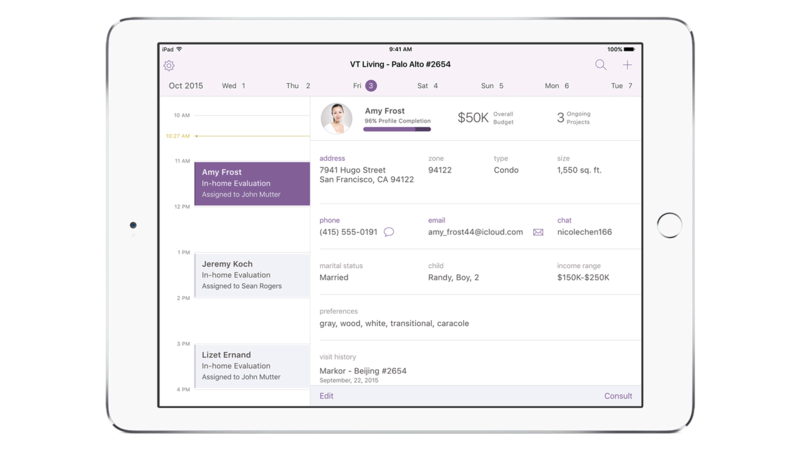 IBM MobileFirst for iOS Sales Consult makes any consultant a personal shopper for any customer. Build better client relationships through an interactive analytics-driven experience. Key details about the customer’s needs, budget, preferences and purchase history is displayed. The app’s project screen includes items based on saved preferences and favorite products. It can even show information about their space like photos and dimension requirements. You can show a suggested item right in the store and suggest new items and inventory to customers based on their needs and preferences. Up-to-the-minute information on buyer ratings and other feedback allow customers to make informed decisions. The app will save any items the customer likes and complete the transaction when they’re ready. The app provides quick access to product details by using the camera or scanner and scanning the barcode with your iPad or Apple watch. You can show products instantly in the store based on the product’s proximity to your location and the customer’s preferences. The combination of instant, relevant data, recommendations and quick sales transactions make for an outstanding customer experience.